I am new here and I have a question regarding job offers for entry level freelancers. 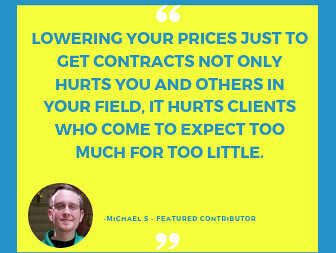 Very often I see that a client wants an entry level person but requires UW hours and JSS. If a freelancer is on entry level how can they have all the latter? Or my definition of entry level (you just joined the UW and you don't have hours and JSS) is wrong? Or entry level means that you bid low? If neither, can someone please explain this to me? Thank you. It is my suggestion to apply only those jobs, that is fit for your skills, experience and qualification, because you are a new freelancer. You will not apply all the jobs, first find the job that is fitting for you, and then apply it. If you are the right person for the client, then the client will contact you. In the commencement period you will need to tireless struggle for your career. Thank you very much for your reply. Your advice is valuable but unfortunately, it did not answer my question about entry level and UW hours. So,let me rephrase it- If I am entry level how can I have 90-100 UW hours (requirements of some clients)? What is exactly entry level? In my opinion, it' applies to somebody who has just joined the UW and accordingly, cannot have UW hours. Please, correct me if I am wrong. I know being a freelancer here is a hard road to walk and I have no problem with walking along.I just need the clarification of the term. The requirement of some clients is very high, they were required freelancer's who are eligible for their criterias, because they are not ready to risk for a new freelancer, because they can't know about the freelancer's work career. When you will make your high profile, then you can apply these types of job, but in the entry level it is my suggestion to please apply those jobs that is fit for you. Of course, I will. Thank you very much. Entry level tag refers to the skill and experience needed to complete a job, rather than to the freelancer's track record on Upwork. Clients have the option to set certain preferences when posting their jobs and it seems some of the jobs did include factors such as number of hours or a Job Success Score. Feel free to submit proposals on these jobs if you are sure you have the required skills and the knowledge to complete the work. 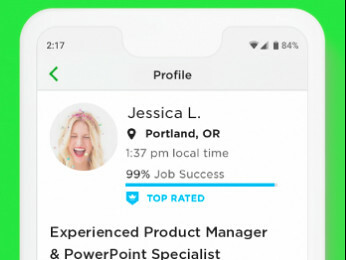 As a personal suggestion, you might want to consider focusing your profile on a specific skill/skills that are your area of expertise, instead of offering a wide range of diverse services. Thank you very much, Vladimir, for clarification. As a beginner here I have tons of questions but I think, working here will answer most of them. Thanks again. 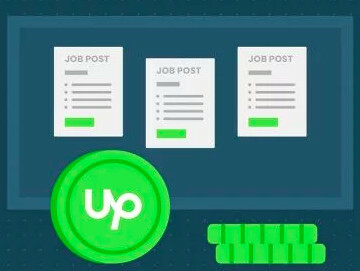 Hello and welcome to Upwork. From reading your profile, I see you have some impressive experience, your work with the United Nations. That should help you do well here. Maybe you should expand on that experience; give some more detail. To help get your first few jobs, you might want to apply to the jobs that have only a few other proposals. That worked for me. Good luck! !